You have made it into Turkmenistan. Congratulations! But what now? 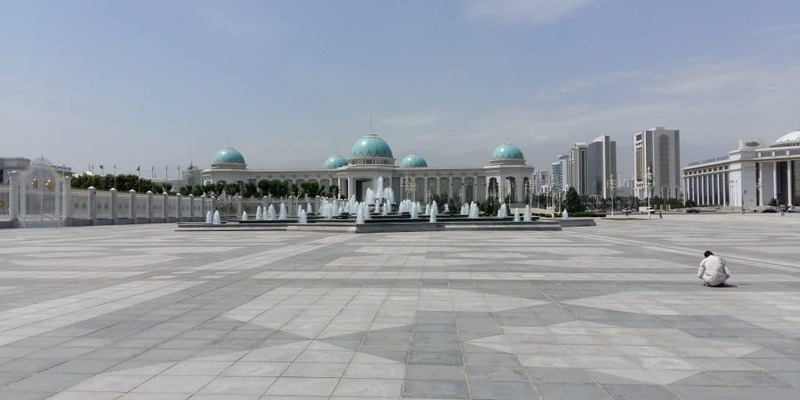 Independence Square is the centre of Ashgabat. Many government buildings are located here, as well as parks, fountains and a giant horse statue. Walking around the deserted plazas, you will see soldiers at every street corner. You will come across gardeners trimming the lawn with tiny scissors, sprinklers distributing more water than you thought was available in this desert city and people cleaning the fountains with toothbrushes. Don’t take any pictures around here (or make sure not to get caught), or you will get arrested and have your pictures deleted. The National Museum of History is both informative and absurd. On the upper floor, you will find an exhibition about Turkmenistan’s history. I knew nothing about the country, so this was a great stop to gain some general knowledge of both ancient and medieval history. On the lower floor, you will find an exhibition about the president of Turkmenistan, including a painting of him with white doves flying up in the background and the image of him sitting on his horse woven into a carpet. The best way to see the light show is to go on a tour by bus. 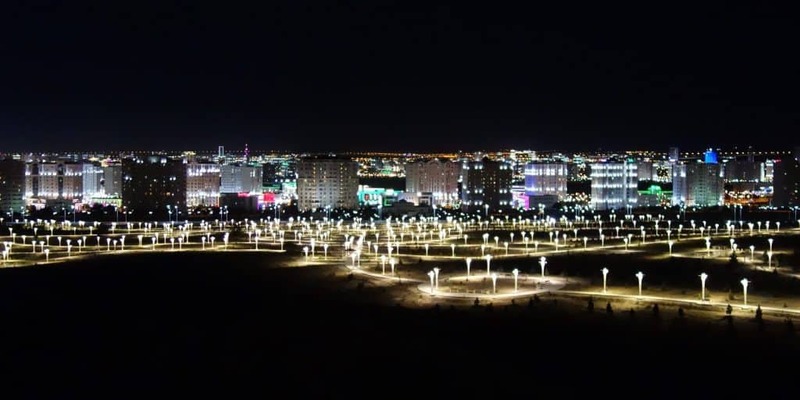 Ashgabat is sometimes compared to Las Vegas by night and while I remain sceptical about this comparison, the lights are spectacular – and absurd. The best way to see the extent of what has been lit up is to go up to the Wedding Palace, which, by the way, is illuminated in four different colours. 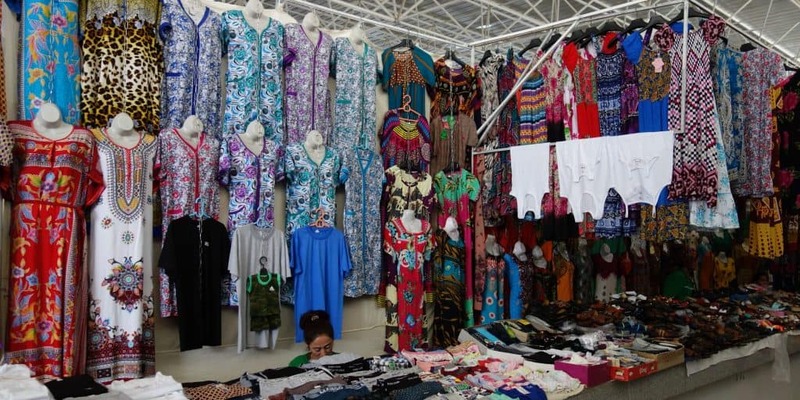 Ashgabat’s biggest bazaar, Tolkuchka Bazaar, has been moved to a location outside the city. You can easily get here either by taxi or marshrutka. The bazaar is spread out underneath several giant hangars and you will see more vendors than clients. Make sure to go all the way to the back to look at the carpets and furniture on sale. If you get hungry, fresh and dried fruit and nuts are available somewhere near the centre. Shashlik, also known as kebap, is one of the staple foods among the Silk Road. After a day of walking the empty streets of Ashgabat, sit down in a restaurant and enjoy a plate of chicken or beef schashliks. It is traditionally eaten with bread so make sure to get some of that as well. You know how everything in Ashgabat is built of white marble and adorned with gold? 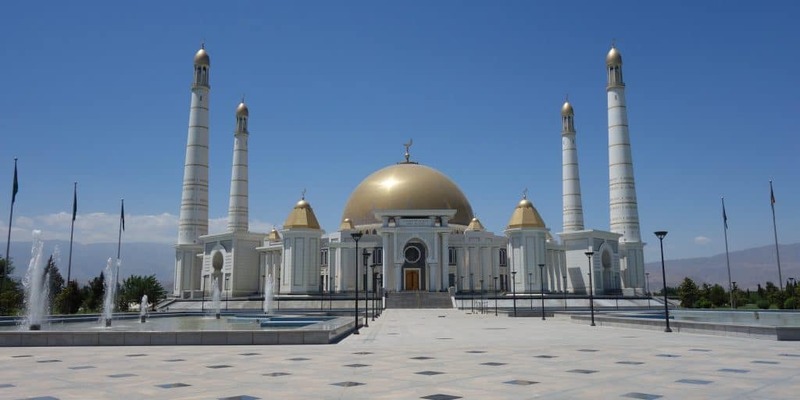 Ashgabat’s mosque is no exception. Located outside the city, it gives you a good idea of how Turkmenistan feels about religion. Don’t come here expecting to see people pray. While never being forbidden, religion was supressed in all former Soviet countries. The mosque is still worth visiting for its stunning exterior and interior. Next to it, you can find Turkmenbashi’s mausoleum, so make sure to check that out as well. Walking past marble buildings on empty boulevards made me wonder if anyone actually lived in Ashgabat. It wasn’t until I took a public bus that I got to meet some locals. While nobody will openly stare at you, people are curious amd insanely friendly and helpful once they find out that you’re a tourist. It helps to speak a couple of words in Russian, as most locals will not speak English. Located in the mountains south of Ashgabat, the Walk of Health winds along the mountain ridges over a total length of more than 30 kilometers. The president of Turkmenistan encourages his citizens to come here at least once a year for a walk to improve their health. While the health effect of a yearly walk remains debatable, this is a nice way to get out of the city and see some mountain scenery. Depending on the time of the year, come here early to escape the heat. So what do you think? Have you been to Ashgabat? What was your favourite?